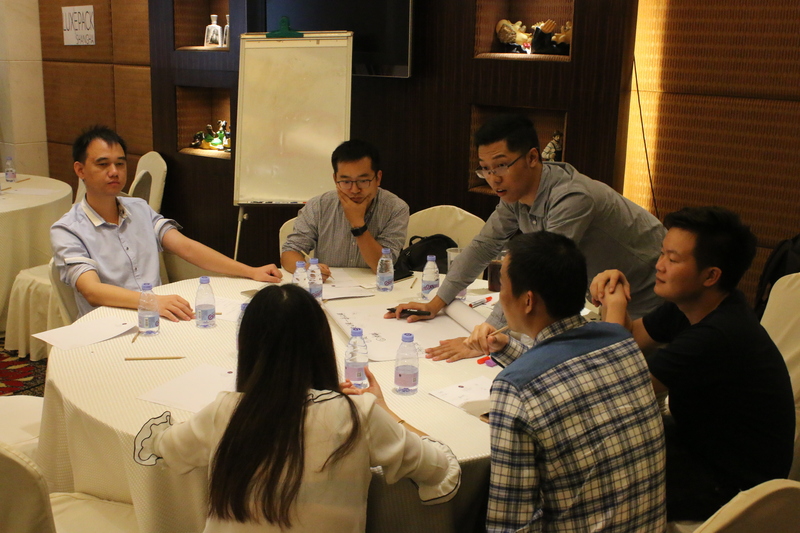 Last week, Collective Responsibility held two training sessions, in Shanghai and Shenzhen, to help packaging manufacturers in China incorporate sustainability into their products through innovations in design, materials and the production process. 60 participants from paper, plastic, and wood packaging suppliers joined the sessions to find out more about the business case for sustainability, and what was required to take part in and win the LUXEPACK in green awards next year. Richard Brubaker, Founder of Collective Responsibility, opened the trainings with an introduction to urbanisation in China, and the disruption of urban systems that are already taking place in multiple industries. He then went on to show how both governments and consumers are now expecting businesses to act on sustainability issues or else face higher taxes, penalties, and lose consumer trust. These push-pull factors are already impacting brands, and so suppliers must also align while they still have the time to act. Collective’s research of the urban waste system in Shanghai provided a backdrop to the changes taking place in the packaging industry, with e-commerce boosting demand, and at the same time new laws have recently come in to restrict the import of foreign waste – a chocking of the supply. Time, therefore, is starting to run out for firms to realise the value of waste, and its use as a raw material. 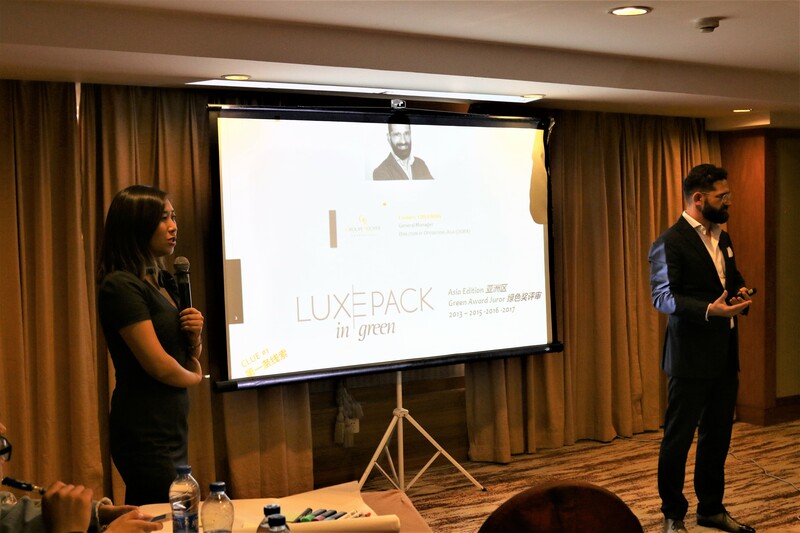 The LUXEPACK in green awards have been taking place for the past seven years, and Collective Responsibility has been part of the jury for the last three. Previously, the award was given to the supplier with the most sustainably innovative product that year, but recently a new award category was added for CSR initiatives implemented by a firm. During the training, the Collective team explained the judging criteria of the two awards with the suppliers, providing details of what the jury would be scoring on, and showing examples of previous winners, with a few tips thrown in as well e.g. recent winners have collaborated with customers on sustainability-related projects. Speakers from manufacturers and brands also joined and shared their experiences and case studies. MingFeng packaging in Shenzhen talked about its numerous applications for the product award over the past five years, with regular special jury mentions, and James Cropper in Shanghai and Shenzhen, who spoke about their previous winning designs using materials such as left-over cocoa shells, and their 2017 LUXEPACK in green award for a local community solar energy project. Frederic Liberman, Director of Asia Operations at the French cosmetics firm Groupe Rocher, and also a judge of the awards, spoke from the brand perspective about how they need their suppliers to be partners in sustainable business as it is how Groupe Rocher sources their innovation ideas. In his “5 clues and 1 path” presentation, he also highlighted the fact that simply being compliant will not win a firm any awards…it is the law! At the same time as promoting the need to address environmental and social issues, Frederic maintained that sustainable packaging must still bring value to a business and the bottom line if it is to be economically sustainable for the market. The training ended with a group activity on “how to innovate your packaging” through understanding where the biggest gains are to be made in the value chain, what technologies/materials/design practices are already available, and finally what their own ideas were to overcome the current barriers to bring sustainability to the market. Engaging manufacturers on sustainable innovation is certainly not an easy task where cost is key, and change usually means investment. However, increasing regulations and government crackdowns to shut non-compliant factories, combined with raw material/waste economics, and ever-demanding customers, mean that they are ready to start paying serious attention. To find out more about Collective Responsibility’s training programs, please contact Emily Wang at Emily@coresponsiblity.com. Tags: innovation, manufacturing, stakeholder engagement, Sustainability, training, waste.